This extraordinary island set in the Indian Ocean, off the south-eastern tip of India, has thousands of years of diverse culture. Still a predominantly Buddhist country, it also has strong Hindu, Christian and Muslim communities as well. Incredibly fertile and a great producer of exotic fruits and it was for centuries the spice producer of the world famous sand incredibly picturesque hill country. With a strong cultural past that now offers over 7 UN World Heritage sites, Sri Lanka was once one of the richest countries in Asia. In recent times it has not developed at the dramatic pace of its neighbors’ in the region adding to its charm and character. The relative lack of development and gentle island pace make Sri Lanka the perfect destination for those looking for a varied and stimulating holiday. 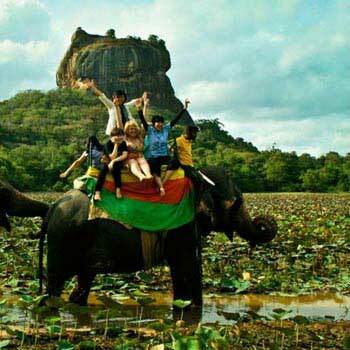 From beautiful beaches, unbelievable flora and fauna (much endemic), amazing architecture as well as a vast amount of historical & religious sites, white water rafting, cycling and many other adventures for the more active and finally the friendliest of people who carry infectious smiles with them everyday! 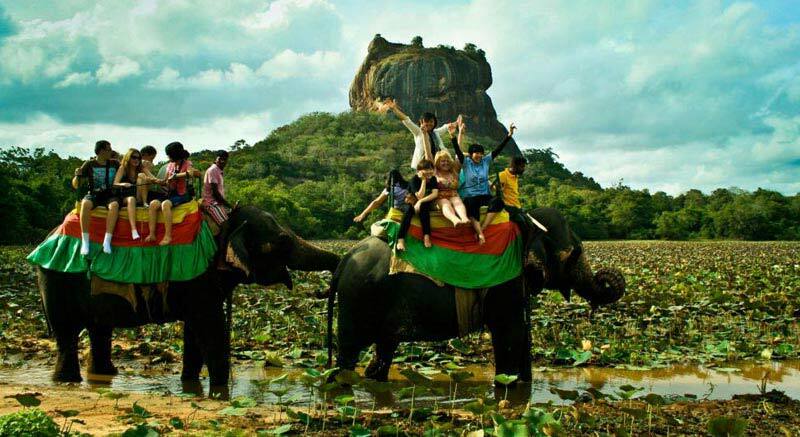 Whatever you are looking for in Sri Lanka, it is an island of immense beauty, small enough to explore widely in 10 to 15 days yet large enough to offer infinite variety. 3 main languages - Sinhala, Tamil and English. Buddhist majority (70%), with Hindu, Christian and Muslim minorities. Eat the freshest chilli crab with your feet in the sand under the stars by the Indian Ocean An egg hopper for breakfast with seeni sambol! Watch out of the ‘kata sambol’- it’s a definite challenge(spicy wise) .Buffalo Curd & Treacle - start and you won’t be able to stop! Cashew nut curry – so rich and creamy you will never forget it. Hand woven Sarongs from Barefoot - they have the most incredible selection in the brightest of colors and are reasonably priced. Great gifts if you can bare to give them away. A bottle of local brew called ARRACK ...a daring drink for the adventurous. Plenty of the best Ceylon tea to continually remind you of this amazing island and to give to those who missed the opportunity to visit Sri Lanka. 500ml x 2 Water Bottle per day per person. Free ODEL Shopping Vouchers for each person who traveling. Arrive in Sri Lanka you will be welcomed by a BAARAN LEISURE Representative & handed over to your respective Chauffeur/guide.After arrival transfer to Mirissa. Crack open a coconut, slip into a hammock and rock gently in the breeze, allowing the hours, days and even weeks to slip calmly by. Today After break - fast proceed to Bentota. En - route do Site seeing in Galle city and visit Kosgoda Turtle Hatchery, Moonstone Gem Mine,Mask Factory and Madu River Boat Ride.Galle a living time capsule home to the largest occupied Fort in Asia.Its quaint beauty extends beyond its golden beaches, cerulean waters, the picturesque views and the rich history while walking through the narrow, cobbled streets within the Fort. Kosgoda Turtle Hatchery in the south, established in 1981, was one of the earliest attempts to safeguard local turtles from extinction. Managed by the Sri Lanka Wildlife Protection Society, the hatchery offers a wildlife experience of a different sort. Maduganga River Zone a beautiful river that is the second largest wetland in the country. Brimming with a rich eco - system nourished by the shallow water body consists of two main islands and close to 30 islets and provides shelter to over 200 families. Meetiyagoda - Moonstone Gem Mine - The village of Meetiyagoda near Ambalangoda, is where moonstone is most commonly found, concentrated within an acre of land. It is believed to have been blessed by the moon. The mysterious gem, as captivating as the full moon gleaming in the night sky, is considered sacred and has been used in jewelry for centuries. The most sought after moonstones have a haunting blue sheen, an effect produced by the orthoclase feldspar, which is found almost exclusively in the gem mines of Sri Lanka. Here, you can even go down into the deep, narrow shafts from which the stones are mined and witness the process yourself. Mask Factory in Ambalangoda - where you could see the manufacture of Traditional Sri Lankan Mask which is used in many traditional dance acts. ? Kosgoda Turtle Hatchery. ($ 05 Per Person)? After break-fast full day Leisure at the beach. Overnight stay at Bentota. Meals : Breakfast and Dinner. Today after break-fast proceed to Colombo. Colombo is Sri Lanka’s commercial capital and major port. A fineamalgamation of all the hues and cultures within this paradise isle. This chic metropolitan brings together the many facets of this island nation. Today After break-fast time for Site seeing in Colombo. After breakfast departure from Colombo to Airport. Most Museums are closed on Sundays, Mondays and public holidays. Colombo National Museum is open all 7days a week except on public holidays. Certain parts of the tours on offer are provided by independent third parties, such as airlines, hotels, transport operators and local tourist offices. Baaran Leisure is therefore not responsible for any loss, injury or damage caused thereby to the tourists, including those occurring outside of the normal touring programmers. Additional expenses incurred due to delay, accident, natural disaster, political actions and unrest shall be borne by the tourists. Schedule changes occur frequently; often without prior notification. In case of schedule changes or flight cancellations we always try everything possible to arrange an alternate programme within the framework of the original quoted costs. However, we reserve the right to charge any cost exceeding the original budget to the tour operator/ travel agent or to the participant of a tour after consultation with the agent. The visits to wild life parks will be at your own risk. The available jeeps are basic with basic insurance cover (not comprehensive as in the case of the vehicle which is used on the tour). In the event the road condition is unsuitable for the Tour vehicle to be used during a specific segment of the tour a basic alternate third party vehicle would be provided, no liability or insurance would cover such vehicles. Poya holidays are observed on the day of each full moon in general, Hindu and Buddhist festivals are declared according to local astronomical observations and it is often only possible to forecast the approximate time of their occurrence. On such days of religious reverence selling alcohol in public is illegal. However at certain hotels the room bars remain accessible. Programmes, prices, services and conditions are based on those valid at the time of proposal submission and are subject to change thereafter without advance notice until all services have been paid in full. We strongly advise to leave valuable items (money, passport, credit cards, Jewellery, sensitive documents, laptop computer, etc.) in the hotel safe. During excursions and roundtrips, personal belongings, especially money and valuables should NEVER be left on vehicles, even during short breaks, and carried around at all times. Baaran Leisure Sri Lanka is not responsible for any loss or theft. Due to ongoing rapid upgrades/developments of roadways and highways in Sri Lanka the times mentioned for transfers may take longer than estimated without prior notice.